Announcement Cotton Quilting Fabrics - Designer Fabrics for Quilting, Clothing, Home Decor. Excellent customer service, FAST shipping. Cotton Quilting Fabrics - Designer Fabrics for Quilting, Clothing, Home Decor. Excellent customer service, FAST shipping. Don’t miss out on the Art Gallery fabric sale. Here are just a few that are shipping today. Sale continues dont miss out with this moving sale offer. A glimpse inside our workspace. You can see we keep plenty of fabric on hand. Everyone who sews wishes they had a dedicated sewing room. We are lucky that both of us do! Just a sampling of fabrics on hand. All that natural bright light for sewing makes for a really pleasant work environment. We buy fabric for our handmade aprons, but we always have enough to share with customers too. Fabric Closeouts was started when we counted how many bolts of fabrics were on our shelves. Now someone else has the pleasure of making them into a wearable garment, pillow, etc. And, of course, it frees us up to buy more! We offer great designer quilting fabrics that are perfect for any creative project. 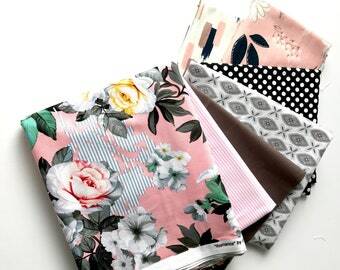 Machine washable, classic, geometrics, lots of florals, and of course novelty which is so popular. 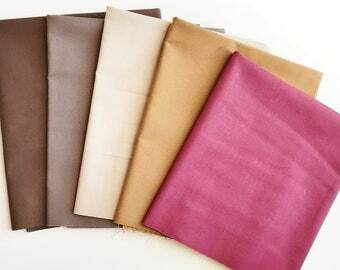 Fabrics are cut in one continuous cut and shipped within 24 hours except weekends or holidays. Our goal is to offer you great pricing and outstanding customer service. Semi-retired, Mother of 5, Grandmother of 9, Great Grandmother of 4. My "love of fabric" developed as a child when I was taken on trips with my Mother to select fabrics at the local "general store". The daughter at Fabric Closeouts, I help photograph and ship orders and anything else Mom may need help with. Fabric Closeouts was established to offer you a quality product to create something unique for you or someone else. We hope to provide you with exceptional service, pricing that makes you come back for more, and a friendship made along the way. All sales are final. If we make an error in shipping you the wrong fabric or quantity, we will make every effort to correct our mistake in an amicable manner. If an order is damaged in shipment the USPS is liable for the damage and a claim may be filed by the purchaser with them to collect the reimbursement of the transaction. Fabric Closeout will assist with any necessary paperwork, documentation to assist in the claims process. Payment for purchase is available by credit card, or via PayPal when you checkout. We do not offer layaway, wholesale, or credit terms. Taxes are collected in accordance with Kansas State Laws. Orders may be cancelled by us if product is no longer available, in that case an immediate refund will be made for the full amount paid. Shipping is calculated based on weight and size using USPS shipping method. Upgraded shipping is available on checkout if you need an item faster than 1st Class Mail. Fabric Closeouts does not offer wholesale, consignment or any guarantee on our products. If you receive defective goods please notify me by email so we can discuss and resolve the issues. All products will be quality inspected prior to shipping for flaws and defects to minimize any product being received in a defective condition. We do not participate in giveaways or bartering.